"Kerry is a mouthpiece! What he says amounts to incitement against Israel." So pronounced Economic Minister and Jewish Home party chairman, Naftali Bennett who evidently used facebook to say this. He means that Kerry is simply a mouthpiece for someone, and it isn't Israel. Bennett wrote to Kerry and all his advisers, telling them "the Jewish people are stronger than the threats against them. The Jews in Israel would not, under any circumstances, surrender their land!" The right-wing MK's slammed Kerry for threatening Israel with increased boycotts and international isolation. About 2 weeks ago, Moshe Ya'alon, Israeli Defense Minister, called Kerry "obsessed and messianic" when it came to the Israeli-Palestinian peace process. Bennett explained that security will bring economic stability and not a terrorist state close to Ben-Gurion Airport. After all, they've been living with this threat for going on 66 years now. Many had lived in Eretz Yisrael before it became a state as well. These threats of boycotting Israel are viewed by Jews as anti-Semitic attempts which are not something friends do to friends. Likud MK Tzipi Hotovely, said that Kerry's threats of unprecedented boycotts were attempts to intimidate Israel. He is trying to impose a dangerous agreement that goes against Israel's government completely. Any peace agreements that undermine Israel's red-lines would be against Israel's security which is even worse than an economic boycott. 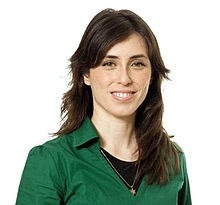 "Tzipi Hotovely (Hebrew: ציפי חוטובלי, born 2 December 1978) is an Israeli politician . She is a member of the Knesset for the Likud party since 2009. On March 18, 2013 she joined the new government of Israel as Deputy Minister of Transportation. Hotovely is a doctorate student at the Faculty of Law in Tel Aviv University. Hotovely practises Orthodox Judaism and is a self-described "religious rightwinger". At the age of 34, she was the 18th Knesset's youngest member. She is described as the "ideological voice" of the Likud Party. She regularly campaigns for improved women's rights, and chaired the Knesset Committee on the Status of Women in the 18th Knesset, before joining the government at the beginning of the 19th Knesset in 2013. Kerry said today that Israel's successes are just an illusion. He threatened that if peace talks fail, Israel will be boycotted. This came from Uri Ariel, housing and construction minister. The truth is that the peace slogans Kerry is trying to sell to Israel are illusions. These slogans of his are used to cover up the threat to the state of Israel. He said that Kerry is a perfect example of what incitement looks like. The Palestinians must be overjoyed with their "fair" mediator. Prime Minister Benjamin Netanyahu spoke about Kerry's threats at the weekly cabinet meeting today. These attempts are immoral and unjust. They will not achieve their goal. What they are doing is causing the Palestinians to "adhere to their intransigent positions and thus push peace further away." Pressure will not cause Netanyahu to concede the vital interests of the State of Israel, especially the security of its citizens. Kerry must have thought that Netanyahu would be a pushover because the Israelis had left Gaza in the name of peace. Threats of boycotting will not achieve their goal with Israel. Frankly, I don't think Kerry has been a very good listener. What is missing here is that Kerry has not given the Palestinians reason to stop warring against Israel. He's going along with all their demands, which would mean the very end for Israel. They are people who have been brainwashed for over 66 years to hate Jews and the state of Israel. Their maps in schools don't even show Israel. They show Palestine instead. They are living off of propaganda and Kerry has bought into it, for he's backing all their expectations that they couldn't get in all the past wars against Israel. Everything he proposes is bad news and against Israel's security. Good response to bad Kerry's actions and non-actions. All of the past Secretaries of of State that I know of were catering to the interests of the "States" he was visiting or negotiating, no matter if the issues were immoral. Negotiating is not always compromising but there are situations (like the Israeli-Palestinian conflict) where a moral position is the right position. An honest broker like a good honest Judge does the right decision even if the results may be temporarily against American interests. After all the Arabs will survive no matter what decision.